Our Personal Stories | NoNameYet Online A.A.
By the time I was 31 and throughout that summer of 1981, I was a dying loner who had a desire to stop drinking and smoking dope forever…but I could not. I had never heard anything about “the baffling feature of alcoholism as we know it − this utter inability to leave it alone…” (page 34), but I was experiencing it. No matter how hard or how often I had tried, cried, prayed or whatever else, I just could not “put the plug in the jug” and leave it there. If you have ever tried to stop drinking forever and have failed, and especially if you have repeatedly failed at one-day-at-a-time abstinence like I did, I hope this story of permanent recovery from chronic alcoholism might interest you. I needed something far greater than anything human to overcome my inability to stop drinking and stay stopped, and there is where the anonymous alcoholics who wrote “Alcoholics Anonymous” freely show the way onto an uncanny path and its plan for recovery that can completely-and-permanently eliminate ever again having to take a drink. I have always been a loner, and I believe I was born that way. From as far back as I can remember, I have never truly felt (at least not for very long) like I actually “belong” anywhere − not even within my own family − and few things ever said or done by anyone have ever permanently convinced me otherwise beyond the level of intellect. In fact, some of the attentions afforded me and even some sincere efforts people have made to welcome me into their lives have resulted in an even-greater sense of insecurity when I did not know how to respond or to at least act in return. Clinically, that is called “a lack of social or emotional intelligence”. In A.A. parlance, we can help keep things simple by just speaking of our “grave emotional or mental disorders” (page 58) in the overall sense. But no matter what words any of us might choose, the Steps can still bring anyone having “the capacity to be honest” (page 58) into spiritual sanity within “the Fellowship of the Spirit” (page 164) so we no longer have to find ourselves drinking for escape or for relief of the symptoms or consequences of our being or feeling so different from so many people. Along that kind of line, one “social goof” of my past that comes to mind these 50-some years later took place at a neighbor’s birthday party when I was a young boy. I was thrilled to have been invited, thinking something like, “Well, maybe today is the day the tide turns for me and I fit in well and everyone accepts me.” All seemed fine for a time at that party that day, and especially since I only had to act like “just one among the many” while everyone but the birthday boy stood watching and chattering a bit as he opened his gifts…but then it was like my fate was sealed as my eyes lit up along with his at the sight of his shiny new baseball bat. To my surprise, he quickly agreed when I asked whether I might be the one to carry his new bat out for him when we all went out to play. My actual thought was to be the first to arrive at the field so I could take a few swings on my own, and I wanted to do that because I was never any good at hitting a pitched ball and sometimes not even chosen to play at all. Well, that new bat was soon ruined by my using it to propel the several rocks I was picking up before someone noticed what I was doing and told my neighbor friend who immediately took his freshly-dented bat away and told me to go home. A few years later in my early ‘teens and while out on the school playground, I was elated when a popular girl invited me to join in during some recess basketball. But then when I fell just a moment later and split the seat of my pants from stem to stern, I next had to “scoot-scurry away” from public view and look for some kind of makeshift cover for my exposed underwear. So overall, and no matter who had ever been however nice, and no matter how hard I had ever tried to get free of stomach butterflies and remain that way, being the misunderstood misfit, social oddball or four-eyed weirdo has always seemed my unique lot in life. Even some of the people I used to think were naturally or even justifiably unlikable − bullies were the worst, of course − often at least appeared to me as being more content and secure in life than I had ever felt. 1. I was amazed before I was half-way through. 2. I suddenly knew freedom and a new happiness. 3. I no longer regretted anything past nor tried to shut the door on it. 4. I could comprehend the word “serenity” and know a little peace. 5. I believed my experience could benefit others. 6. My feelings of uselessness and self-pity would disappear. 7. I would lose interest in selfish things and gain interest in my fellows. 8. Self-seeking would slip away. 9. My entire perspective, attitude and outlook upon life would change. 10. Fear of people and of economic insecurity would leave me. 11. I would intuitively know how to handle situations which used to baffle me. 12. I realized alcohol could do for me what I had never been able to do for myself. So, and while completely unaware of “glass in hand, we have warped our minds into such an obsession for destructive drinking that only an act of Providence can remove it from us” (12 & 12, Step One), I drank it. Along with trying to maintain my new-found, alcohol-induced sense of ease and comfort, I also wished to only ever drink safely, of course. I had never known any troubled drinkers personally, but I did know about one of my dad’s uncles dying from “consumption” in his forties, and I also knew of the sufferings of the family of a man I had heard was a mean drunk. From certain scenes in old movies, however, my biggest concern was that I never find myself homeless at the end of a dark alley somewhere with nothing but a bottle of cheap wine in a paper sack. So, and while trying to learn to drink at all − pouring warm malt liquor over ice in a glass was a bad idea, I discovered − my drinking began with my hoping and trying to be certain I would only ever drink with complete control. Years later I learned normal drinkers almost never even think about that. Being normal, they just drink as much or as little as they wish each time they drink at all, then stop and return to whatever else they do until the next time they have a few. Having two drinks per day for the effect − two beers per evening with at least an hour in-between − without feeling any need, urge, craving or compulsion to reach for more was no problem for me for about the first two years of my drinking. I definitely thought about my upcoming drinks each day, and my anticipation of what they would do for me was usually sufficient for keeping my butterflies manageable and my life-hopes steady or even growing throughout the day. I secured a prestigious job I had been wanting for a long time, and that led to my being invited to join a softball team where I became the first off the bench in my favorite position as a catcher. A life-long acquaintance offered me a land contract for a nice house with plenty of room for my young family, and I was even able to obtain a loan for a new car. I had always been told I had great aptitude and potential in life, but I never would have suspected that by adding alcohol I had begun employing an invisible “alloy of drink and speculation…that one day would turn in its flight like a boomerang and all but cut me to ribbons” (page 2). I had my first blackout − alcohol-induced amnesia, as I call that − during my third year of drinking. I had not completely forgotten my two-drinks-per-day limit, and I did still occasionally manage to keep it to try to convince myself I still had full control over my drinking. However, my overall experience with being able to drink more than two and still make it to work the next day seemed to suggest my “limit” could safely be changed to “as long as I can still function tomorrow”. I vaguely remember my smoking pot for the first time during the evening of that first blackout, but none of whatever else someone later said I had done at that neighborhood Euchre party could be found anywhere within my conscious memory. Little did I know my waking up and looking for evidence of things I could never recall would eventually become my norm. As unexpectedly as a lightning bolt on a clear summer day, my entire life and the confidence and security I had added via my “alloy of drink and speculation” went sour at the beginning of my twenty-eighth year of breathing…and my drinking had nothing to do with that. My prestigious job in its fast-paced market had become so challenging that I actually wanted out of it, yet my fear of looking and feeling like a failure beyond anything alcohol could have covered had been keeping me strapped to it. There was no lightning in any of that, of course, but then my hearing of a personal offense I would never have expected from my boss or from anyone at all made my sky fall. To retaliate without risking personal harm, I drove out to work that evening while knowing no one would be there and I set fire to the building. A kind judge later viewed my arson as “a crime of passion” and was as lenient as he could lawfully be throughout his handlings of my case, a plea bargain, my sentencing, incarceration, probation and ultimate release. My own initial thought of a defense through all of that was to plead “temporary insanity”, and I had visited a nearby mental heath center in an attempt to investigate that as a possibility. Following a therapist’s (a Master of Social Work) assessment, I was told the folks at that facility could not help me in court. However, someone there did suggest I might return for some personal counseling…and thus was the stage set for my eventual hearing of an answer as to why I could not stop drinking. Prison life without alcohol would have been impossible for me without the Thorazine prescribed by one of the psychiatrists at the mental health center I had been visiting, but it took a prison psychiatrist’s order to make it available while I was in that institution. There was one occasion when a fellow inmate displayed a small bottle of my favorite whiskey, but he was offering to share it with others also − that fellow must have been a normal drinker − and I knew better than to light a fire without having any additional fuel at hand for stoking it. After being transferred to a work release center not long after the beginning of my incarceration, I again had easy access to alcohol and pot…and then one of the guards at that place suggested I stop taking the Thorazine because of its adverse, long-term effects. Walking into that facility drunk at the end of a work day never brought any trouble for me, and I might always only wonder whether that guard understood. In my own experience, locking an alcoholic up only worsens his or her “sufferingly sober” misery while also interrupting the experience needed so he or she might eventually develop a desire to stop altogether. “With a bottle and a joint in my mouth. Near the end of September in 1981, I found myself sitting at a bar nursing a beer during the early-morning hours after yet another highly-dreaded “last call” at the end of a wet week. The bar was closing, the bottle in my old truck was empty and I was broke…but the liquor stores would not be opening back up that day anyway. As I sat there pondering myself and my life, I knew I was at the edge of some kind of long, dark tunnel dropping down into nothingness…and I also knew there was nothing I could do about that. I had given life my best shot and had failed. I still had a few moral convictions, a job, a place to live and some old ideas about how life should be, of course, but I also knew I was headed toward an early grave. I had heard about a man who had asked someone to let me know he was “sober”. Freeman had once been my therapist, and I decided to go see him even though I had never known him as a drinker. Wanting to be sure I would be sober when I saw him, and while knowing I could not stop drinking long enough to do that, I got up from that bar-stool and walked into a nearby police station while smoking a joint. “Lock me up and do not let me out until I get help”, I said, then handed them my bag of pot and added, “Here’s my ticket.” Those officers obliged me, of course, and they even let me finish that joint while fingerprinting me! When I later asked them about that, one of them said, “We had no idea what kind of person or situation we might have had on our hands, and we just wanted to get you into a cell quietly without any unnecessary problems or trouble.” Me too…and then I spent the next couple of days sobering up on their dry doughnuts and bad coffee. “Because you are alcoholic”, he answered. I was shocked and relieved at the same time. I had never held a bottle of cheap wine in a paper sack, so I was shocked at hearing him call me “alcoholic”. But at the same time, I was grateful somebody finally seemed to have some kind of label for whatever was wrong inside me. “What should I do about that?”, I asked. …and that is how I began learning the certainty of my long-suspected and very-real need for an “It never fails” (Dr. Bob) kind of solution such as could never have come from me, from you or from any other human being. Apart from whatever Power there might actually be that really is far greater than even all of us together, most chronic alcoholics seem doomed to die one-debacle-at-a-time with few people ever understanding how or why that happens. Truly, “So many want to stop but cannot” (page 25), and I used to be that kind of drinker. I had been going to as many as fifteen meetings per week for several months during my first “sufferingly-sober” year in A.A. and while looking for someone who could help me understand and actually do the things shared in our Basic Text so I could recover from chronic alcoholism and never again end up drinking again…and then a friend who had been to a Charlie-and-Joe “Big Book Seminar” in an O.A. setting came to me with three tapes from that seminar and I spent the next three days in “tears of joy” — tears always come from something having been frustrated for a period of time, you know — while listening to those tapes over and over again as those two men explained things in ways I could never have figured out on my own. This entry was posted in Our Personal Stories on January 9, 2014 by JoeO. The Story of an Atheist-become-recovered-alcoholic and what that has to do with THE SHEMA! It was about 3 a.m. and I shuddered at the thought of trying to get through another day. I was now slumped on the floor in front of my living room sofa where I had passed out a couple of hours ago. My hands were shaking and my insides felt like I was riding in an elevator. This routine of awakening in the middle of the night and having the shakes, knowing a drink would still them yet not daring to take one for fear of getting “caught” with beer in hand at such a strange hour, had become commonplace over the last two years. Here I was, just thirty-two years old – one of those people who appeared to be loaded with potential – drinking myself to death and just wanting “it all” to end. What was I going to do?? How had I gotten to this place of such utter desperation? I’d always had a very analytical mind, and in all my years of attempting to analyze people’s elusive-to-me contentedness and their productive and genuine interactions with one another, I’d never been able to find “the key.” How did people glide so energetically and confidently through their work day while I limped through that same day with an indefinable and nearly-paralyzing uncertainty and trepidation? How did they co-exist – even work harmoniously together – in spite of disagreements and deadlines and such? I was a worn out, frustrated, often angry, bundle of nerves by afternoon nearly every day of my eight-to-five desk job, and I’d begun to feel like office work was a contact sport!! I could hardly wait to get to the bar or the liquor store to gulp down some “liquid sanity,” and that had become an almost-daily occurrence. Then that single can or bottle would become eight, ten or twelve cans of beer or a pint – even a fifth – and I would somehow pour myself into my car, weave my way home via the back roads, stagger into the house and pass out on the sofa. How and when had this dread-the-day-drink-for-relief-from-the-day cycle ever begun? As far back as I can remember I felt “empty” and afraid. I was frequently haunted by nightmares and what people call night terrors. I lacked the desire to do or to learn things, and I was comfortable only when I was alone. Yet even when I was alone I was tormented by what I can best describe as a sense of being buried alive; of life going on around me through eternity and infinity without my being able to participate. Those feelings began when I was about four years of age and lasted for two or three years, I think. They were intense and frequent and frightening and I spoke to no one about them. The activity of grade school was perhaps why the sensation diminished and then ceased (or took another “form” as I would later discover). My early grade school days seemed like endless, empty chunks of time which usually consisted of being herded through the day, then walking the two blocks home (alone if possible) so I could “retreat” to either my bedroom or the back yard. I was afraid of academic and social failure from the day I walked into the kindergarten classroom, and my “unknowns” were so unnerving that I often stayed home for days – sometimes weeks – at a time. At just six years old I was so terrified of the “surprise” the kindergarten teacher had in store for us students that I feigned illness and missed the day, only to find out the surprise was a candy bar for each of us; my favorite kind, even! Rarely was I comfortable among others. Even in a house full of people (two parents, five siblings), I felt isolated and lonely. People considered me “shy,” but I considered myself afraid. I was afraid of my grandparents, aunts and uncles. Afraid of what, I couldn’t have told you, but I felt an uneasiness that I would have described as fear if I had been capable of defining emotion(s). When I was with my peers I seemed to be performing rather than interacting. Did anybody else think or feel that way?? The thought of being “abnormal” plagued me, and I began observing people while making sure they didn’t know I was watching since eye contact would have been unthinkable – terrifying – due to my “shyness”! I observed what they said and did and how they said and did it, how they moved, even how they spoke; wondering what they had that I lacked, and whether I could “get it” if I imitated them. I was sure they didn’t feel awkward and inept like I did, and I wanted to feel like they looked. In spite of my social and emotional awkwardness, I seemed to have some intellectual and athletic abilities. As a result, I received some encouragement and attention from family, teachers and classmates. Thus began my efforts to use these new-found “tools” to experience what other people experienced: normalcy!! These, I thought, were the keys to somehow being okay. Receiving academic and athletic accolades was exhilarating and made me fairly popular among my classmates, and I thought perhaps being around my peers rather than retreating to the bedroom or the back yard might be pretty neat! My internal uncertainty, however, lingered on. I often felt less comfortable around my new “circle of friends” than I did around strangers, yet always wondering when they were going to figure out that my abilities were only superficial and call off the friendship. No one seemed to notice this indefinable emptiness with which I struggled, so I kept pretending – hoping the “act” went undetected – and by the time I was in my teens “faking it” was about as good as I thought it was going to get. Being smarter than . . . , more athletic than . . . , began to be the focus of virtually all thought and action. I lived in what one might call “survival of the fittest” mode: whoever was the wittiest, made the best grades, and was the most athletic got the most attention and would, therefore, feel the best inside. The quest for being “the best . . .” had begun, and those who considered me their friends were, to me, more like competitors in a race than companions. One evening when I was about fourteen years old, I went for a ride in a car with a friend who had a friend who had his driver’s license. “Hanging out” with older teenagers was considered both a privilege and a status symbol, and I loved it!! We cruised around the neighborhood for a while, and then somebody produced a bottle of something I recognized as liquor. Oh, no!! Now what?? I was terrified of alcohol. Several years before, I’d been given a sip of something I thought tasted like floor wax stripper – I think it was vodka – that had caused me to “swear off booze” before I ever got started. But breaking my “vow” wasn’t the issue here. Rather, it was my fear of looking foolish, of not fitting in with those around me, and of being poisoned by the alcohol – I really was afraid of the effect it might have on me. However, the desire to be accepted and well-liked trumped all other considerations and I took the drink. Anticipating a dreadful taste, I managed to throw the stuff past my taste buds and down my throat without choking. All I initially felt were the frightening and awkward sensations of dizziness and a thick tongue. Immediately following came a feeling so foreign to me that I could scarcely describe it: I was instantly okay!! I was calm, comfortable (even in the unfamiliar situation in which I found myself! ); never better. I had begun to feel what I have heard people describe as feeling “ten feet tall and bulletproof,” and I knew this was a sensation I must experience again . . . I pursued that elusive, instantly-okay, never-better, ten-feet-tall-and-bulletproof feeling every chance I got for the next eighteen years. Whoever had told me alcohol would destroy my life must have been wrong! The comfort alcohol brought was certainly temporary, but at least I now had an outlet for my emotional and social anxiety. Unfortunately, I could not control how much I drank, and I nearly always got drunk way past the “comfortably numb” sensation I had so enjoyed that first time. Many times I found myself in frightening situations: drinking so much that I would vomit and nearly pass out; being stranded overnight in the homes of complete strangers; getting lost in the middle of nowhere with the gas gauge nearly on empty. I tried a variety of “adjustments” such as beer instead of hard stuff, weekends only, waiting until evening, hanging out with more moderate drinkers, etc., etc., but none of them worked. My need for the relief alcohol could provide was paramount to any embarrassing or frightening situations in which I found myself; I continued drinking. As far as dealing with those issues — I eventually learned to not mix beer and hard stuff, and my body soon became able to tolerate large quantities of booze. I tried to avoid the people involved in the humiliating incidents and “tune out” all related thoughts as best I could when sober and forgot about them when drunk. In spite of the frequent and heavy drinking (including between classes), I was able to graduate from high school with high honors, and I found friends who were able to do the same. However, I began to notice a couple of things about myself. I had absolutely no idea what was next in life, and I seemed to have a preoccupation with drinking that few, if any, of my friends ever had. Most of the people I knew were going to college or knew what they were doing job- or career-wise; I had no idea what I was doing even the next day. I always felt like I was simply slogging through life. And the drinking. . . I was obsessed with how much was available, how much others drank in relation to my consumption, and how, where and when I could get that next drink. I went through a phase where I shoplifted toiletries and clothing and used the derived funds to buy beer. The shoplifting lasted until I got arrested and “perp-walked” through the local mall. That incident caused me to have to enlarge my circle of so-called friends to include people old enough to buy the booze. I could “drink you under the table and drive you home”! I out-drank almost everybody – probably about two to one – and that was with great self-restraint so I didn’t “look” so out of control. How I looked was always very important to me, and the appearance of being out of control was unthinkable. The next couple of years were spent in a blur of jobs – mostly “blue collar” – and lots of under-age drinking. The only goal I had for myself at this time was to survive to the legal drinking age so I wouldn’t risk getting arrested nearly every night! Yet back of the emptiness and futility of my existence was some indefinable longing for “something” – everything always seemed unsettled and incomplete. On the strong urging of family members and the desire to some day “have a career”, I entered a local liberal arts college at the age of twenty. I lasted about nine weeks. I had yet to meet any drinkers on that religious campus, and I had no interest in meeting anyone via their floor-by-floor bible studies in the dorm. Who is this “God” everybody talks about that never seems to be anywhere but in story books, Sunday school lessons and sermons? In a panic for emotional relief from my awkward surroundings, I once slipped out of the dorm and began walking down the middle of a state highway in icy rain in the middle of the night. I was headed for a friend’s house where I was sure I could get a drink. Somebody picked me up about two miles into my ten-mile trek. She dropped me off, my “booze supplier” was in bed and I never got a drink. He just got up out of bed and took me right back to the dorm. I left college the next day and began to seriously consider suicide. A couple of years later I met the man I would marry. Within just a few months, I sensed he was “the one” for me. He seemed perfect! He was gentle and easy to get along with. He was handsome, athletic, educated, his family was kind and conservative, he did not smoke (I did) or drink excessively (I did) – he was so stable. Perhaps some of his stability would ‘‘rub off” on me, I hoped. That stability, incidentally, would prove to be what kept some shred of sanity in our household in the years to come. We socialized with his friends (I had none! ), most of whom had a reasonable degree of social status – business owners, teachers, semi-professional and former professional athletes (I called them “the beautiful people”) – and I loved it!! There were several heavy drinkers, so I didn’t stand out too much. If I could hang out with these people, maybe I’d look okay. I actually did look okay, but I still didn’t feel okay – I was not genuine like other people seemed to be. I always felt alone, even in a crowd, and I could not figure out everyone else’s “secret”. My outsides seemed to say “winner”, but my insides screamed “loser”. The inconsistency nearly drove me crazy, and I thought about it constantly. Drinking was the only way to keep my fear, insecurity and confusion from being overwhelming. The next several years were, once again, a “blur” – this time a blur of white-collar instead of blue-collar jobs. Just before I was married I had gotten some clerical training while thinking office work would help me “feel better” about myself. I graduated from secretarial school at the top of my class and was asked to speak at the next year’s graduation ceremony, but came up with some excuse about why I could not do so because I knew I would not be able to stay sober while delivering a commencement speech. The early years of my marriage and the perceived status of working in an office seemed sufficient to keep me from drifting a little too frequently and realistically into those thoughts of suicide I had begun entertaining years before. Our son was born when my husband and I were in our mid-twenties. I thought the birth of our healthy baby boy would slow or stop my drinking, but two weeks after his birth I began drinking more than ever. I had to put him on baby formula most of the time because I could not stay sober long enough to feed him naturally. I had amazingly but with much difficulty fought off most of the incessant urges to drink throughout the pregnancy, but could no longer do so. It had now become obvious to me that I was a “problem drinker”. My husband and my co-workers already knew. I was so tired of getting drunk – often seemingly against my own will – that I decided to quit drinking altogether. I had every confidence that my desire, along with years of experience with the humiliation of out-of-control drinking, would be sufficient for keeping me sober. I had previously been afraid to talk about my drinking, but now I was so sure I had “what it takes” to quit that I actually admitted my problem to a family member and announced to my husband that I was done drinking. I was drunk within five days. I wanted desperately to know and to do what other people did to be “normal.” I began reading self-help books and attending seminars and psychology-based workshops to try to find out how to fit in and be okay. I was excited about gaining more awareness about myself and others, but I dimly sensed most of the techniques would not work or I would be too afraid to try them once I learned them. Between my analytical mind and these seminars, I had determined anger was a big problem for me, and if I could find out how to keep from being so angry I could stay sober. I got drunk as soon as I left the anger management workshop at the working women’s seminar! Then I landed what I thought was the “job of jobs”: a middle-management position where I answered to few, worked with few and had no one to directly supervise. I was to receive what I considered a dream salary – a dollar amount I considered the I-have-arrived-salary, including the paid-vacation-and-paid-sick-day-non-hourly-status-symbol perks, and I was sure this would be my much-needed emotional pick-me-up. I had lost the previous job because I could not tolerate the boss’s intolerance of my tardiness and poor attitude, as he saw things and I thought he was crazy, but I took pride in the fact that I had been laid off, not fired. I believe they were afraid I would make some kind of trouble for them if they fired me, actually. I would have to stay sober to learn the new job and perform it rightly, I determined. I was drunk in three weeks. I began drinking frequently with the many drinkers I had found here at my new place of employment. At least I fit in that way. For a couple of years my supervisors loved me and my clients loved me even when my co-workers did not! Several of my clients tried to hire me away from where I worked because they were so impressed with me. What a charade, I thought. Do they know what a joke I am? What a phony I am? Do I even know?? I worked and drank most of the time. I attended my son’s little league ball games, and usually drunk. My husband traveled a lot on weekends, and over the years I had alternately gone and not gone with him in attempts to drink more or drink less or hide out – whichever seemed necessary at the time to find some sanity. My marriage was unraveling. I was drinking to live now, not living to drink. My once-sharp mind had dulled so much I forgot how to run the photocopier (something I had done thousands of times), and during a huge new-product promotion – everyone was under pressure and working 50, 60, even 80 hours per week – my former pal and drinking buddy came up to me at the copy machine and said, “You ______ idiot!” “She’s right”, I thought. Until recently I would have done something to try to get her fired for her comment, but now I had no “fight” left in me. Virtually paralyzed by the increasing mental fog in which I lived, I just silently agreed. My back began to ache because of what I later learned about my over-burdened kidneys, and I was unable to eat much because I needed the limited space for alcohol within in my near-anorexic body; each day was a decision as to whether to eat or drink – when and how much – in order to drink enough to chase away the mess in my mind without collapsing. If I could just commit suicide without getting “caught” and “rescued.” But even in that state of desperation I was afraid I would look ugly if disfigured from running my car into a tree or look crazy if a pill overdose were thwarted and I ended up across the desk from a psychiatrist. The unthinkable was now becoming a reality: I was unable to control my drinking, and my life’s actions were dictated by my need for alcohol. I could no longer hide the obvious decline of my body and mind under a superficially “successful” life. I had given up even the thought of trying to stay sober in spite of now knowing I would likely die within a few years from some alcohol-related trauma or illness. All I had sought to do that I thought would make me feel okay and “a part of…” had failed. Over the years I’d had limited and unconvincing exposures to religion (including an intense dream/vision that prompted me to try to read and understand a Bible – I gave up after a few days – it was like a foreign language to me); I had tried success and vicarious success; I had tried education, psychology, workshops, seminars; I had tried to be an imitator of others’ actions. I had guilt and remorse for things I had and had not done. I had an emptiness inside of me that was inescapable and unbearable. I was now seriously trying to figure out how to end my life. I seemed to have come into this world lonely and without a clue and it appeared I was going to leave in the same condition. Several days later I checked myself in to a very clean, modern, well-staffed facility for the recommended in-patient treatment. After a series of medical, psychological and psychiatric examinations several staff members expressed surprise at the mental keenness and bodily health I seemed to have in spite of an 18-year “drinking career.” (A couple of them, however, saw past that keenness to the anger and confusion.) I was terrified of my roommate and I did not fit in with or feel comfortable around anyone who was there (as usual) but I was desperate to find out how to live without needing to drink, so I was determined to stay for the duration of the recommended treatment despite my being ill-at-ease. My stay was also a welcomed and much-needed respite from the pressure of my job. God as you understand God. Faith in and dependence on God as you understand God. How does one do that when one does not believe in A/THE SUPREME BEING?? I had heard people talk about (a) God all my life. My mother was profoundly interested in the Old Testament of the Christian Canon and read bible stories to me when I was a child. We went to church as a family off and on over the years. I went to Vacation Bible School when I was ten and recall being enthusiastic while I was there. I vaguely recall having been baptized – I had no idea what I was doing or what “baptism” meant – that same year. Apparently I had made a commitment to HIM AND HIS SON. But there was absolutely no connection in my mind between those “events” and the reality of my life. There was not now, nor had there ever been, as far as I was concerned, anything that could prove “HIS” existence. My attitude hardened as I grew older, and I used to shout at and argue frequently with my mother about the non-existence of a Supreme Being. How could I end up in this mess if “HE” were real? I was pretty sure I could prove HE was not real based on my life’s experience. . . I remember being relieved to be at that treatment facility until about Day 10; then I began to panic about all my undone office work and all the mistakes I may have made those last few weeks when I could not function. My head was spinning, and between the crushing guilt I was beginning to awaken to for all the damage I had done to my family, the people I had hurt and left in the “wake” of my run-away lifestyle, the messes I had left at work for other people to clean up and this God thing, I was in big trouble and I knew it. I know I am going to drink myself to death and there is nothing I can do about it. The only solution left for me is to become willing to believe in a Higher Power (God as I understand God) that I have all my life disregarded, denied and eventually denounced. What am I going to do? As I lay in bed in the middle of Night 10 at the treatment facility, I said, “God, if you’re real please show yourself to me ‘cause I’m in a lot of trouble, and if you’re not real I’m in a whole lot of trouble – I’m dead.” I suddenly experienced a warm sensation I cannot describe, but I sensed this was the presence of The One whose existence I had previously refused to acknowledge. I slept peacefully for the first time in months, if not years. I was on an ecstatic “cloud” for only a few days (oh, how I wanted to hang on to that feeling of “everything’s gonna be okay”!!) and then, little by little, I began to feel the same way I always had. I was uncomfortable around people and felt like I was living one big charade, and all the stuff I was learning here in the treatment center did not seem to make any difference. It seemed too much like what I had tried in years past. But I did feel some hope with the AA information. I left the treatment center dutifully determined to attend the recommended 90 AA meetings in 90 days and find a sponsor who could show me how to do what was in that “Big Book.” I was excited, although insecure and nervous, to attend the AA meetings and find a sponsor. I began to hear “just don’t drink one day at a time” and thinking, “man, I can’t possibly do that.” That don’t-drink-one-day-at-a-time concept brought back the dreaded, suffocating feeling of being buried alive that I’d had as a child; the sense of being completely immobilized while life goes on around me; and the sense of perpetual slogging numbly and purposelessly through each dull day. It just sounded so hopeless. And impossible for me. The more meetings I attended the more my fear of drinking increased. There was a liquor store I used to have to pass by to get to one of my usual meetings, and each time I drove past that store the thought of getting drunk again crossed my mind. I was confident the first several weeks getting drunk would not happen, but after about 80 of my prescribed 90 meetings in 90 days and 80 one-day(s)-at-a-time, I felt as if a magnet were drawing me toward that liquor store. That insidious feeling of being utterly unable to keep away from booze – that I had any control whatsoever over when and how much I would consume – was creeping back into my psyche. It was suggested at the treatment facility I find a sponsor at one of the local AA meetings I was to attend in this 90-day period, so I began watching and listening intently for someone who could show me what to do. This entry was posted in Our Personal Stories on January 7, 2014 by Sarah B.. Frankly, I find it hard, most days, to remember how it felt when my life was little more than a string of miserable minutes. Up and down. All around. Sober, drunk, remorseful, determined, sober, drunk, remorseful, determined, sober … and … DRUNK again. And drinking was just a fraction of my various problems! In fact, while it proved troublesome, it at least offered some temporary relief. My grandma recently died, and I’m not especially sorry. Wait. Before you think me some heartless droid or something worse, read on. 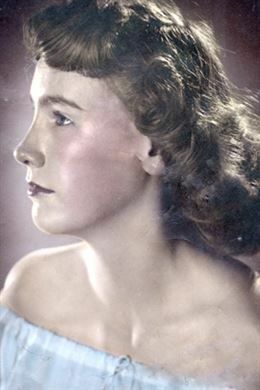 Of course I feel pain that my darling grandma, may she rest peacefully, is no longer here. I miss her. That fact did hit me about a week before she died: I will not get to visit her anymore. Missing her makes me blue. But the word “sorry” means, in its purest form, “full of sorrow.” I am not “full of sorrow” over my grandma’s death. Why not? Because death is part of life. Her dying — at nearly 81 years old after a life she found fulfilling — is as it should be. Why would I be full of sorrow about life as it should be? Real sorrow comes over me when life is NOT as it should be, when people suffer needlessly or when they cannot or will not listen to reason and thus hurt themselves or hurt others. For example, I am sorry — often barely containing my emotions — when a middle-aged man or woman, an obvious alcoholic, comes in to the Emergency Room shaking, vomiting and nearly ready to have a stroke. Please take a good look at our site. This entry was posted in Our Personal Stories on January 5, 2014 by Steph. I recovered from alcoholism in 1998 after 2.5 years becoming convinced I was an alcoholic of the hopeless variety. I have not had a drink since. We are convinced alcoholics can permanently recover. Drinking for me came at an early age by some standards. I well remember the first time I drank enough alcohol to have effect. I was twelve years old and cooking dinner for my parents and three siblings. I had done this many times and was rather good at it. I was always looking for different ingredients to add to make the flavor better thereby winning the applause and praise of my family members. A popular cooking show came to mind and the cook of that particular show liked to use cooking sherry and also drink a little wine as she cooked. I didn’t know the difference between cooking sherry and wine and the later was what was available so I used some as an ingredient and I drank some. Wow! What a feeling that stuff gave me! It felt like fire came out of my fingers and toes. The feeling was electrifying. Then I thought “This is what people feel like when they are drunk! I’m gonna have more of this stuff” and so I did. For a long time I knew my drinking was somehow different from how other people drank. I thought it was cool to be able to drink more alcohol and at a faster rate than anyone else. It wasn’t always cool for other people, however, the amount I drank. Some of my drinking companions started to be less willing to accompany me. A couple of years of learning how to “drink like a man” is all it took for me to notice my drinking behavior was different from other people. I wondered why other people could not or would not learn how to “drink like a man”. Some of my friends would stop drinking after three or four drinks! I figured they were just lightweights and couldn’t help it. Some of my friends said that maybe I shouldn’t drink so much. Some of my friends even told me they thought I was an alcoholic. Lightweights…all of you. Why even drink if you’re not going to get drunk. My drinking being somehow abnormal never even crossed my mind. I had an idea what it meant to be an alcoholic, so I was not alarmed about my drinking. I didn’t fit in that box I called “alcoholic”. I later found out that my idea of what an alcoholic is, was not accurate. Tim: Hi Sarah. Hi all. JoeO: Tell us about the “stop trying to stop drinking” deal! I tried to stop drinking alot. I thought that was what I was supposed to do. I kept drinking again and again. I’d come back all beat up. The people in our group told me to quit trying to quit. I looked at them as if they had two heads. I did not understand I could not quit. After two and a half years…. Never wanting to drink again! And there were 12 beers and a pint of whiskey. Still not wanting to ever drink again. knowing it was a bad idea. then I remembered I never wanted to drink ever again. I would drink again whether I wanted to or not. I knew then that I was a real alcoholic and had no defense against the 1st drink. After a little more of me beating me up with ego and pride and drinking and not wanting to. There is more if you want to hear it. JoeO: Keep going, if you wish, and anyone can interject a question or whatever. The thought came to me that “I never bought beer there before”. I bought a case of beer and went on to my sponsor’s house. We met for about 2 hours. He asked me if I thought I could make it until next week. I knew I couldn’t and said no. He suggested we met the next night. I went home and drank that case and didn’t go to work or my sponsor’s house the next day. 4 days later was our weekly home group AA meeting. I went a and sat down. A man in our group asked me what I was doing there. He said of course you are but you are DYING and just [messing] around! No one in the group said a word. I had the thought that if he was right I’m in trouble. I didn’t even know I was dying but was willing to believe he was right. That was the 1st time I had ever had any amount of humility. Humility before my fellow man. If anyone in that group would have told that man to take it easy on me I would have probably died. I would have continued to fight everything and everyone. But instead I had the opportunity to admit that he was right. JoeO: That man was the one who had the courage to say what some of the rest of us were only thinking! The teacher appeared when I was ready. JoeO: If this is okay with you, I will copy what you have shared and add it at your story here at the site. This entry was posted in Our Personal Stories on January 3, 2014 by Members.